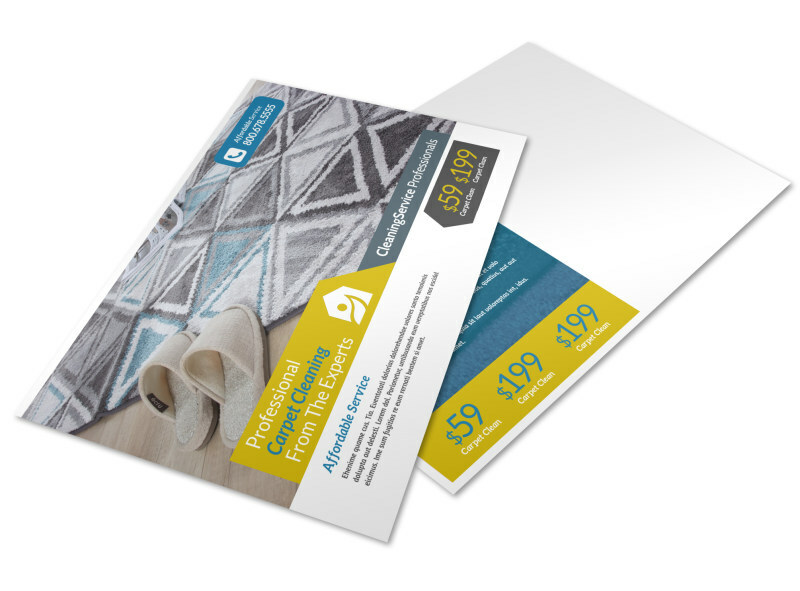 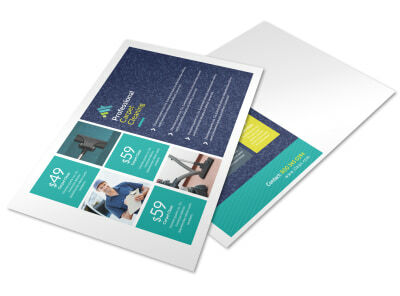 Customize our Carpet Cleaning Ad Postcard Template and more! 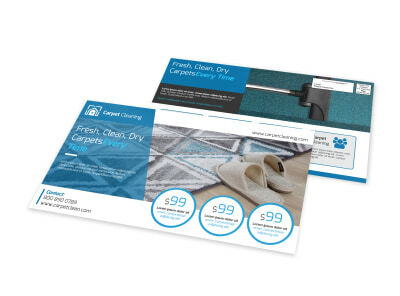 Let locals know that you are the best when it comes to making old carpets look newer with a carpet cleaning promotional offer delivered on a customized postcard. 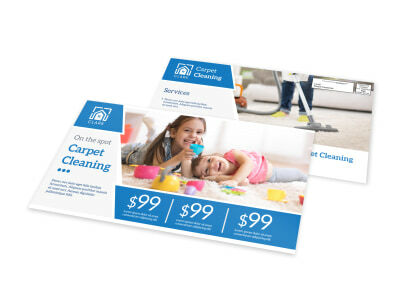 Choose the elements that you like most for your design, including a custom color and font, and then add text, graphics, and photos to bring home your message. 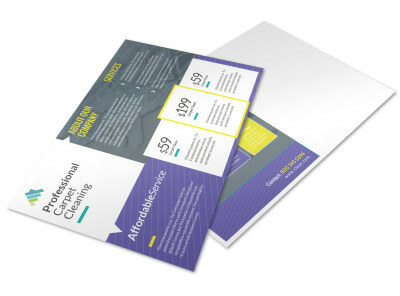 Start today, and have your postcard ready for printing fast.